Our mission is to represent possibilities, present opportunities and connect communities across the world to build the next generation. Through community programming and engaging social activities, we strive to recruit a diverse group of professionals while simultaneously increasing monetary resources needed to support our programs and partner projects. WeLEAD has continuously supported and collaborated with programs that exposes art & culture through an array of opportunities to the City the Houston rather it be through social, civic or economic development. In the past, WeLead joined the efforts of the ONE Africa Music Fest to create cultural awareness to the City of Houston. WeLEAD coordinated the efforts for visiting artists from Africa to visit high school students in a joint effort to highlight African music. One of WeLead’s leading projects, Africa IxChange: Women’s Economic Empowerment Summit provided a platform for strategic networking between participating African countries with superb women groups, businesses, associations and organizations in Houston. Women delegates from Africa traveled to Houston to learn and exchange best practices, increase connections, collaborate and build positive supportive relationships to see what best practices may be used to maximize resources across Africa. Most importantly, it supported trade exchange between Houston and the visiting countries from Africa. 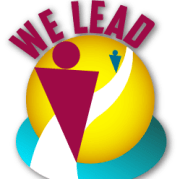 As WeLead continues to carry out its mission, it plans to create a special purpose vehicle in a joint effort with Culturally Naija to support and empower millennials that have an entrepreneurial spirit that will impact globally rather it be through science, technology, engineering or mathematics.